Alchemist, the yacht belonging to the commodore of the Island Sailing Club, sank during the Round the Island Race on 2 July after hitting a shipwreck. But it was good news for TP52 Gladiator who won the race and MOD70 Phaedo 3 who smashed the multihall record time. Dramatic footage of the sinking of the Alchemist during the Round the Island Race has been released. It was shot by a crew member of RNLI Mudeford, which rescued the crew just seconds before the yacht sank. It started taking on water after hitting the shipwreck of the SS Varbassi just east of The Needles on the Isle of Wight. The vessel was competing in the Round the Island Race on 2 July. The Dubois half-tonner, Alchemist, sank in 17 metres of water just east of The Needles, Isle of Wight on 2 July. The yacht hit the wreck of the SS Varvassi while competing in the Round the Island Yacht Race. The Junior Offshore Group (JOG) racer belongs to the commodore of the Island Sailing Club, Mark Wynter. He was not on board at the time, and none of the crew were injured in the incident. The Yarmouth RNLI all weather lifeboat, the Mudeford RNLI inshore lifeboat and The Needles coastguard rescue team all responded to the incident. The Mudeford RNLI rescued the crew just seconds before Alchemist sank. Strong winds during the racing, especially south of the Isle of Wight, meant challenging conditions for many taking part. Racing for some of the smaller classes of yacht was cancelled. The Yarmouth lifeboat was called to six incidents during day, including the loss of a mast, damaged rudder, crew injuries and damaged hulls. The sinking of the Alchemist has been reported to the Maritime and Coastguard Agency. 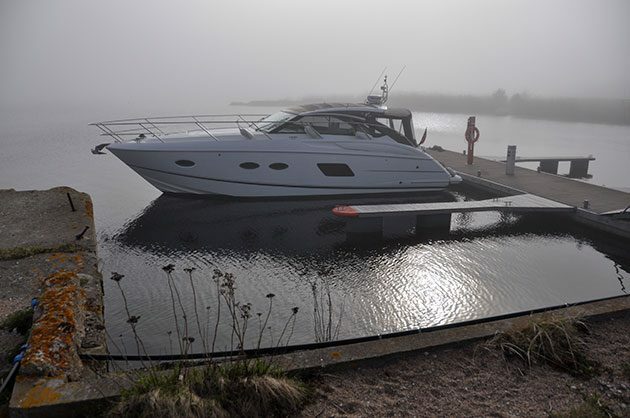 Pollution was minimal because the yacht had little diesel onboard. Meanwhile a yachtsman was taken to hospital on 1 July after being knocked unconscious while practicing for the Round the Island Race. The man, who is in his 30s, suffered serious head injuries when he was thrown onto a winch handle. He was on board a 40 foot Sunsail ocean racer. Cowes RNLI took the man to shore where he was taken to St Mary’s Hospital. Despite the challenging conditions, race organisers say that only a small percentage of the fleet retired from the race. The overwhelming majority of competitors – some of whom saw gusts to almost 40 knots – successfully completed the course. The winners of the prestigious Gold Roman Bowl for the first IRC boat on corrected time was Bernard Langley’s TP52 Gladiator. The crew completed the course in less than four and a half hours from Gladiator’s start, beating Sir Keith Mills’ FAST 40+ Invictus, which had Prince Harry on board as crew. Gladiator’s owner, Tony Langley, is currently racing his other TP52 in Porto Cervo, Sardinia, but his three children, Tom, Charlotte and Bernard, who helmed, all took part in the race. Nevertheless the team never held back, hoisting the A3 spinnaker at the Needles, before peeling to the A4 at St Catherine’s Point and hitting speeds of 20-24 knots. “At that point we knew that we had a chance of a good result,” stated Aarons. “At that kind of speed, the adverse tide only slows you by a small percentage. 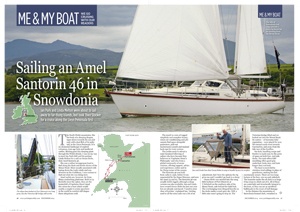 Once we were back in the eastern Solent we were still in the last of the west-going favourable tide and were almost able to lay the finish line in one tack – it was a huge advantage,” he concluded. Meanwhile, Lloyd Thornburg’s giant MOD70 trimaran Phaedo^3, tore round the course in two hours 23 minutes and 23 seconds. In doing so he smashed the record time Sir Ben Ainslie set in 2013 by a stunning 28 minutes. 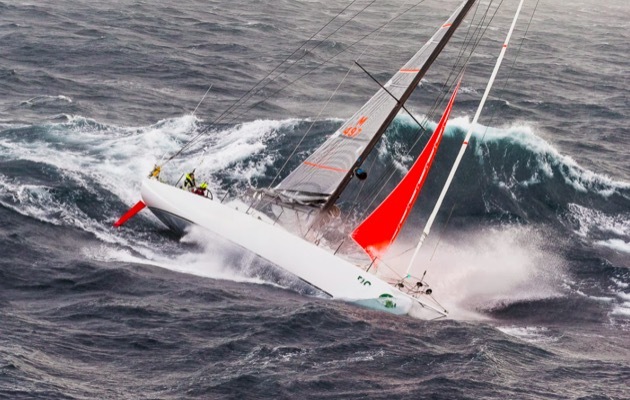 The largest monohull in the fleet, Mike Leopard’s 100ft Leopard, took monohull line honours, but failed to beat the record time he set in 2013 by 13 minutes. When asked for his take on this 80th race in its 85th Anniversary year, ISC Sailing Flag and head of the ISC Race Management team, Dave Atkinson, acknowledged the challenges. 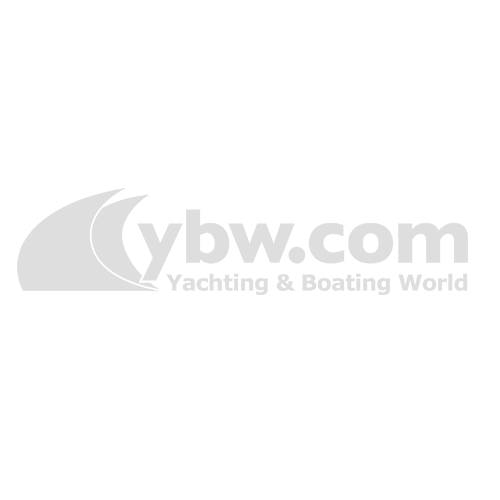 “The heavy weather forced us into making some pretty major decisions in cancelling some classes but we feel that with safety always being paramount, we were entirely justified in doing what we did,” he said. “There are a few sad faces but many more happy ones. We act as we do with the information that we have and at the end of the day I think it has been an incredibly successful weekend,” concluded Atkinson. Next year’s race takes place on Saturday, 1 July 2017. Entries have now closed for the 2016 Round the Island Race. The oldest boat competing is believed to be Thalia. Built in 1888, the vessel was one of the last yachts by George Wanhill of Poole who was boatbuilding from the 1850s onwards. In the 1890s, Thalia went to Cork and was raced from the Royal Cork Yacht Club, returning to the south coast of England in 1918. After a more recent stint in the Caribbean, she was bought by David Aisher in 2010, and returned to England for a refit at the Elephant Boatyard in Hamble where a new mast was fitted with new standing and running rigging and sails. The yacht was also re ballasted, rewired and replumbed. 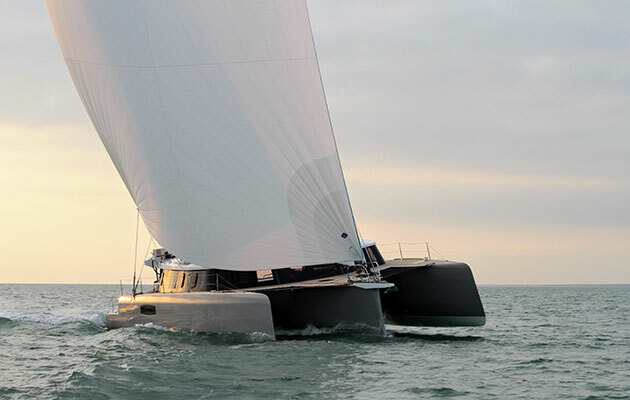 Aisher’s Thalia won’t easily be mistaken for another Thalia racing again this year; a Hanse 385 built in 2012. Owned by Andrew Banks, there are five members of the family competing in the Round the Island, ranging from his 91 year-old father Ken down to his two sons aged 21 and 19. His 2015 JPK 10.80 boat Shaitan is entered for the Commodores Cup as part of the Celtic Team as well as for this year’s Round the Island. His crew includes helmsman Thomas Lundquist, who is a Finn Gold Cup Winner and Olympic Gold Medallist and co-helm Julian Smith, the 2014 National Finn Champion. Also on board will be Andy Sinclair, trimmer and Red Bull Youth America’s Cup helmsman and Jamie Joel, rigger and instructor. Girls for Sail have entered two boats this year with all-female crews, many of whom have never raced before – and in some cases, have never even sailed before. Hot Stuff, a Beneteau 40.7 and Diamonds are Forever, an Elan 37 are competing. Girls for Sail are hoping this will encourage more women to get involved in yacht racing. 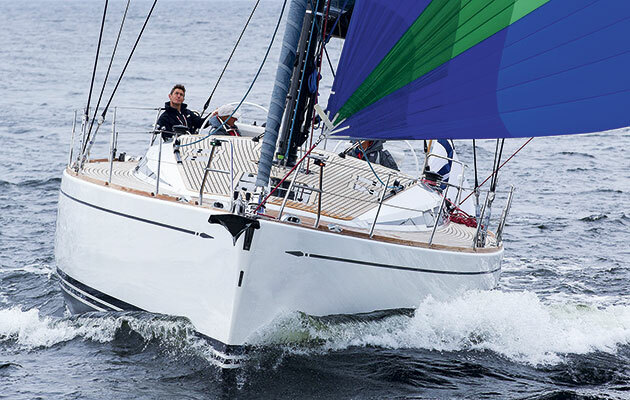 The Class 40 Concise 2 features a highly experienced all-girl crew on a fast boat with good pedigree. 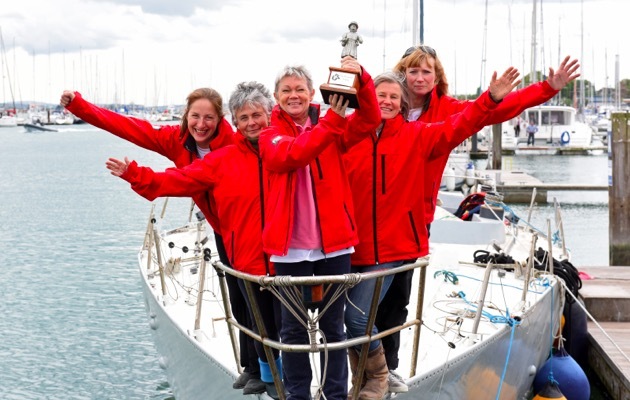 Already confirmed for 2 July are skipper Joy Fitzgerald, Sammie Evans, Hannah Diamond and Annabel Vose. All competitors are invited to the Island Sailing Club at 18:00 on 1 July, for the live Raymarine Weather Briefing. Raymarine Weather Briefing. Image: Patrick Eden. It will be presented by professional meteorologist Chris Tibbs. He will share his tactical advice, giving competitors the latest weather and tidal information. 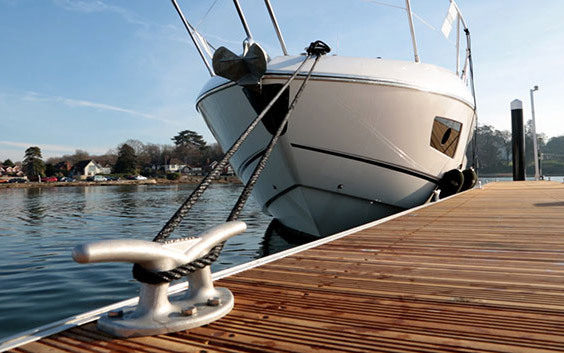 The briefing will be streamed live to the Royal Southern Yacht Club in Hamble, Hampshire for those who can’t make it. 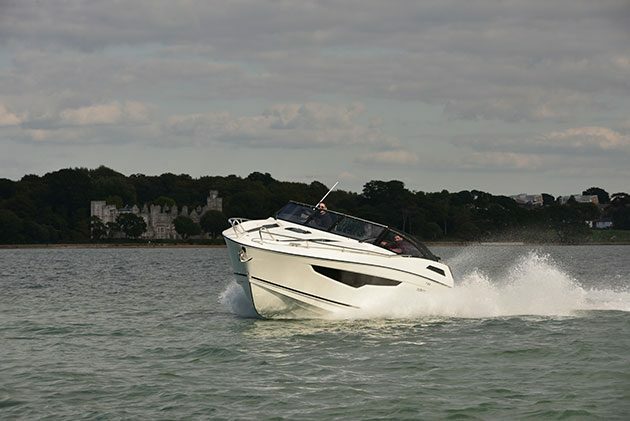 It is also available at www.raymarine.eu/rtir-weather. The J.P. Morgan Asset Management Round the Island Race will return to the Isle of Wight on 2 July. The event sees thousands of sailors taking part annually. This year, organisers say there have been larger than usual entries from first time racers and families. Competing next month is Ian Bowker and his friends on High Hopes, one of the regular Dubois half tonners, unmodified with original mast, keel and rudder. They have plenty of experience in this event, having completed four consecutive races up to 2014 with a regular crew. Ian Bowker, pictured in his blue cap, and his friends have high hopes for this year’s race. Bowker said the race, known as RTI, touches the spot in thousands of sailors’ hearts. “Our best RTI result, in an increasingly competitive IRC Class 3C filled with quarter tonners, was 5th in class and 98th overall in the windy 2011 race, where we held a spinnaker from the Needles to Bembridge managing 15 knots down a wave off Freshwater,” he noted. Sadly, High Hopes didn’t end up competing last year as Bowker suffered heart failure the day before the race. “While other competitors may wait until the end of the race to find out how they have done, I consider I will have won if and when we cross the starting line. It will be a privilege to just take part, and a culmination of all the work from the many people involved in my recovery,” said Bowker. Race starter on 2 July will be Prince Michael of Kent GCVO. He will join race officials on the Royal Yacht Squadron platform to commence the starting sequence and fire the cannon signifying the first of eleven class starts at 8.30am. Amongst the boats jostling for position in the second Class start will be the MOD 70 multis – Phaedo^3 and Concise 10. 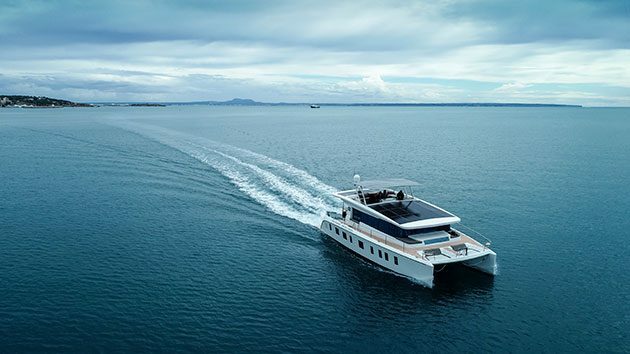 The trimaran will be jointly skippered between the legendary Brian Thompson and Lloyd Thornburg. Phaedo^3 recently broke the trans-Atlantic speed record between Bermuda and Plymouth. Their race rival is Concise 10, who pipped Phaedo^3 to the post by 12 seconds in the Round Barbados Race in January. Team Directors, Tony Lawson and Ned Collier Wakefield, launched Team Concise in August 2006, with the intention of helping young British sailors forge a future in competitive offshore racing. “The Round the Island Race is something that we look forward to each year and the iconic event certainly shouldn’t disappoint with two MODs racing this year,” said skipper and team director Ned Collier Wakefield. “After taking a fairly easy line honours last year the team and myself are expecting a closely fought race between ourselves and Phaedo. Hopefully the spectacle doesn’t disappoint,” he added. Also confirmed to compete this year are Alex Thomson on HUGO BOSS and last year’s winner of the Gold Roman Bowl, Giovanni Belgrano and his crew on Whooper. 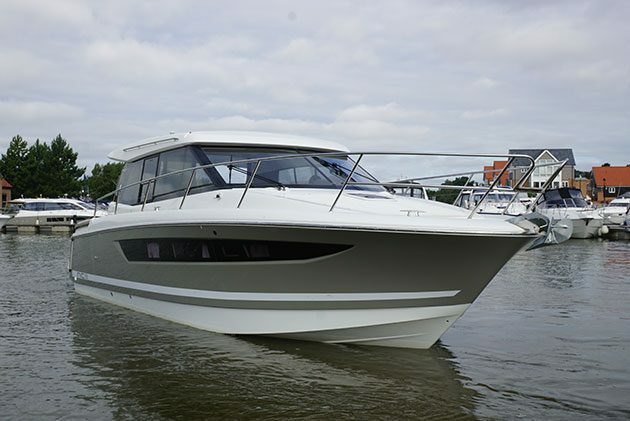 Helena Lucas MBE will be skippering Team Volvo and the Squire Patton Boggs, a chartered Elan 450 yacht. *Ratatosk: Adam Beaumont and his team are from Linton in Leeds, one of the most inland areas in the UK and they’re racing on Beaumont’s Hanse 445. Last year they did pretty well in their first time out in this race, scoring a 2nd in IRC 4B with an undersized spinnaker. Illiria is a Sparkman & Stephens 40ft RORC Class sloop being raced by Andrew Easdown, family and friends. She’s mahogany built in 1968 in Italy by Cantiere Carlini, Rimini and is in near original condition. Nimble Chiquita. 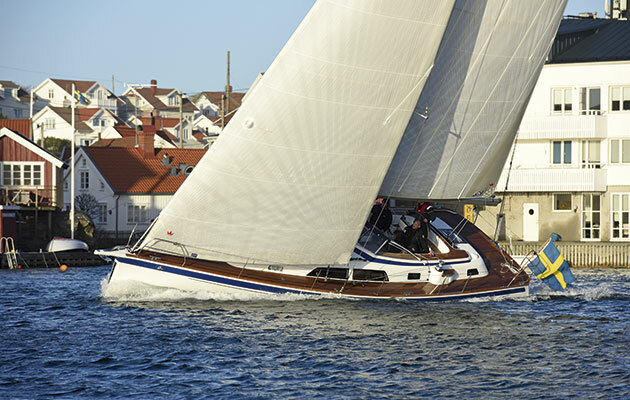 Owned and helmed by Christophe Nielsen, who is a famous German Folkboat Winner amongst his other accolades. He was also part of the 1987 Admiral’s Cup Team. If you can’t make it to the Isle of Wight, there will be full coverage from 8am on the event’s website, with updates hourly and broadcasts live with on-water and shoreside commentary. The Royal Southern Yacht Club in Hamble, Hampshire will be streaming coverage on the big screen from the Friday weather briefing to the starters and finishers on Saturday. Spectators can also keep in touch with the action via the big screen in the Race Village at the Cowes Yacht Haven. Supporters of those who are racing can follow the progress of their friends and family via a mobile tracking service, which will go live shortly via the race’s website. Those wishing to take part in the race have until midnight on 18 June to register on the website. The roster of sailing stars is shaping up for the 2016 J.P. Morgan Asset Management Round the Island Race.